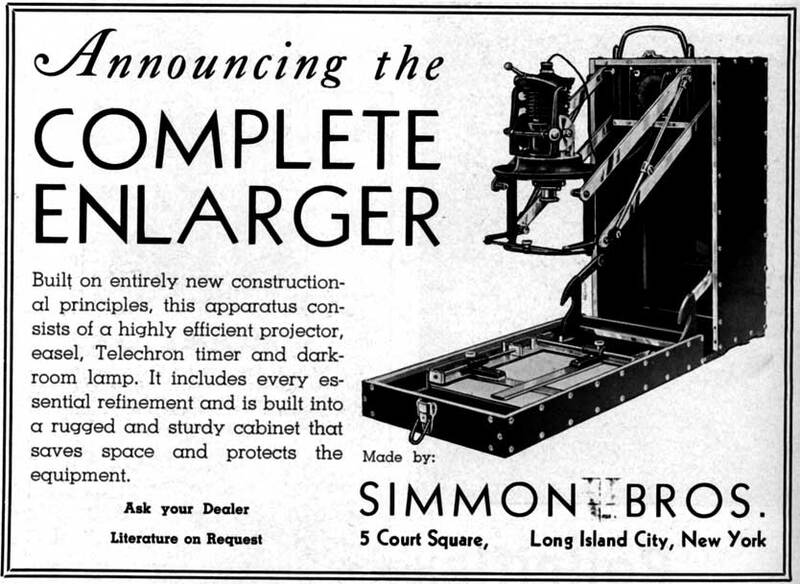 The earliest and the most advanced enlargers from Simmon-Omega. The original is from 1935, which was built into its own carrying case and folds out. It was quite an engineering feat, but it didn't take the world by storm. The Simmons went with a more traditional design next, which they called an Omega. Later on, all of their enlargers would bear that name. The Omega D5500 was also an engineering marvel and the peak of their design sophistication. But it debuted just as mini photolabs were beginning to kill darkroom work, and it never fulfilled its promise. 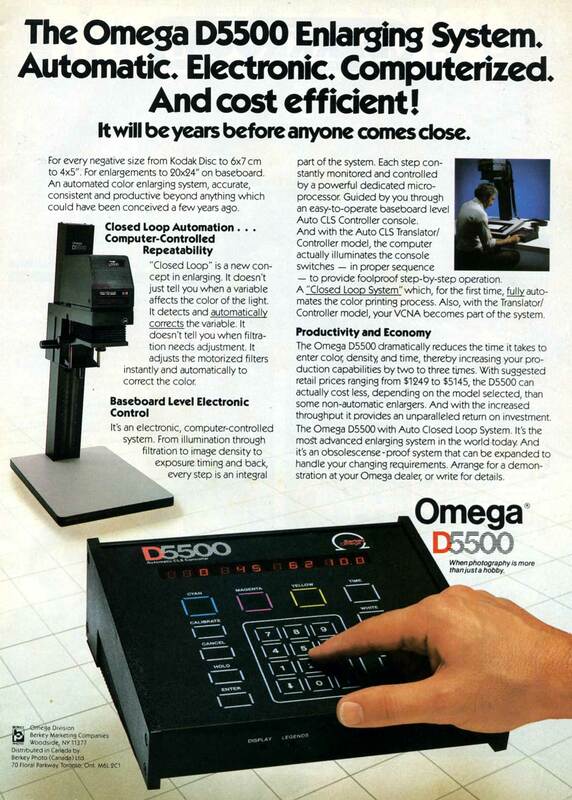 After that, the venerable ("tried-and-true") D5 remained the flagship, and they put their energies into the plastic medium-format machines for the hobbyist market. The Simmon brothers sold out in the 1970s, but the company still lives as OmegaSatter.